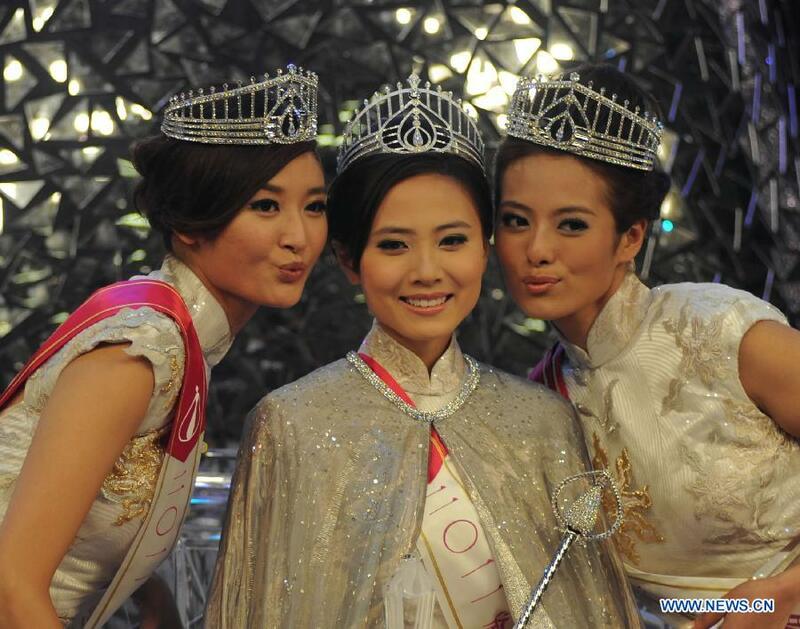 Rebecca Zhu (C), Hyman Chu (L) and Whitney Hu pose for a group photo during the final of Miss Hong Kong 2011 in Hong Kong, Aug. 7, 2011. 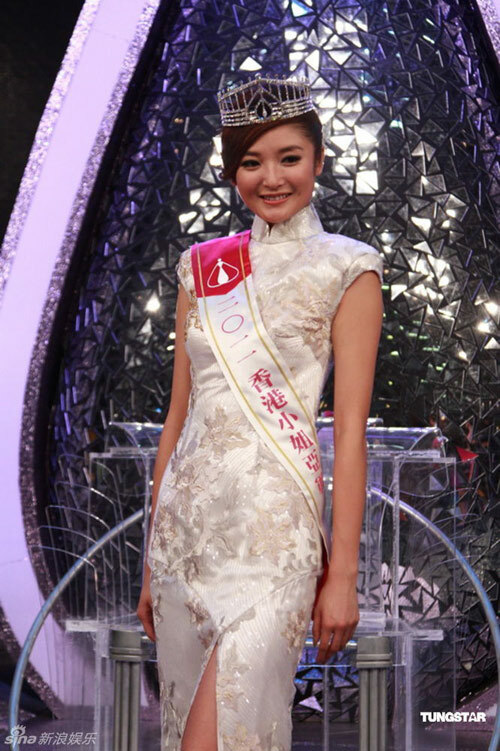 Rebecca Zhu won the top prize, Hyman Chu was the first runner-up and Whitney Hui was the second runner-up in Miss Hong Kong 2011. 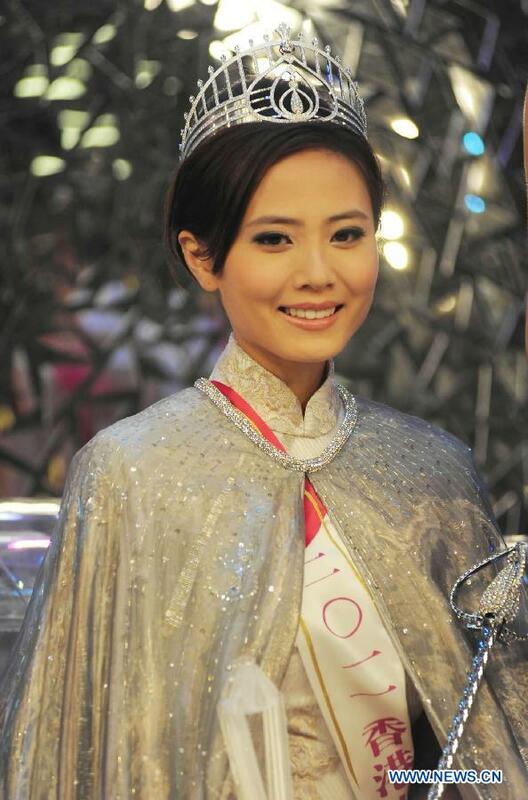 Miss Hong Kong 2011 was held on August 7, 2011 at TBV City, Hong Kong. 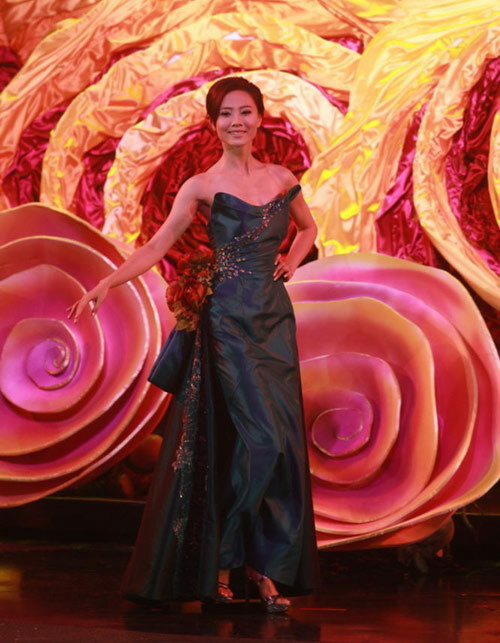 Rebecca Zhu won the top prize, Hyman Chu was the first runner-up and Whitney Hui was the second runner-up in Miss Hong Kong 2011. The first runner-up was Hyman Chu.